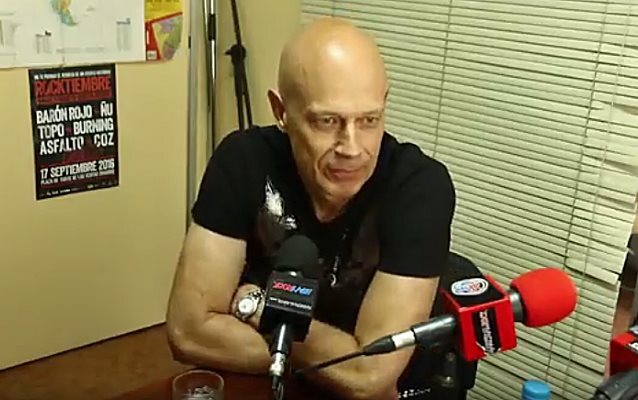 Wolf Hoffmann of German/American metallers ACCEPT spoke to Spain's MariskalRock TV about the band's new studio album, "The Rise Of Chaos", which will be released on August 4 via Nuclear Blast. The guitarist said (see video below): "It was recorded by the same team as the last three albums — it was Andy Sneap producing and Mark Tornillo on vocals and Peter Baltes [bass] and myself in the band. We have two new members, but other than that, it was recorded and written exactly the same way as all the other previous three albums. [It was] recorded mainly in Nashville, mixed in England. And, yeah, we took all of last year to write the songs, and I think it sounds [like] typical ACCEPT." Regarding the "The Rise Of Chaos" title, Wolf said: "The title just seemed to come out of nowhere. It really seems to fit the times that we live in. It really means the world is getting more and more chaotic, and that's what we feel like. So when we had the [title track], it seemed to just fit the times that we live in. It's not really about any chaos in particular, but if you look at politics nowadays, there's chaos; if you look at the global warming or the climate change, that's chaotic; or a lot of the Syrian crisis and the refugees in the world, there's so much chaos around us. So that's what it is about." The cover artwork for "The Rise Of Chaos" was created by the Hungarian artist Gyula Havancsák and can be seen below. 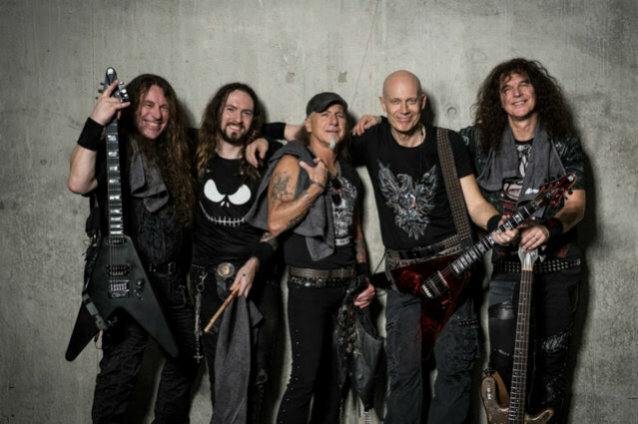 The follow-up to 2014's "Blind Rage" is the first ACCEPT album to feature the band's latest additions, guitarist Uwe Lulis (GRAVE DIGGER, REBELLION) and drummer Christopher Williams. 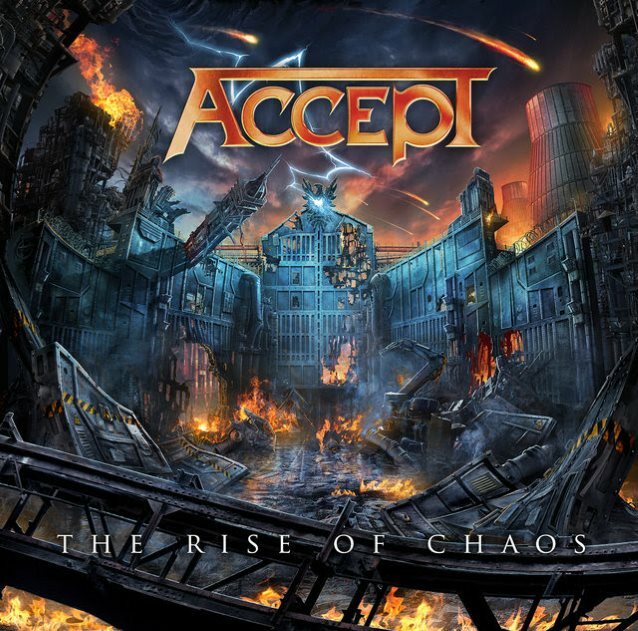 ACCEPT will launch the disc on August 3 with special show at the Wacken Open Air festival in Wacken, Germany. The group's set will consist of three parts: Part one will bring fans a classic ACCEPT set, packed with new and old hits. Part two will present another premiere: Guitarist Wolf Hoffmann will play tracks from his solo album, "Headbangers Symphony", released in 2016, with the Czech National Symphony Orchestra for the very first time. On this record, Wolf covered famous opuses by composers such as Beethoven, Vivaldi and Mozart in a metal guise. And in Part 3, all elements can be seen and heard together: ACCEPT will make the holy Wacken ground shake by sharing the stage with the orchestra, supported by a complex multimedia show. Hoffmann stated: "It's always impressive to see how bands take this evening seriously and how much love the artists and the organizing team put into their work to get a varied result. It's a great tradition which underlines and documents the top-notch level of the international rock community like nothing else. We also want to present something that ACCEPT has never done before. We hope we can give something really special to the fans."